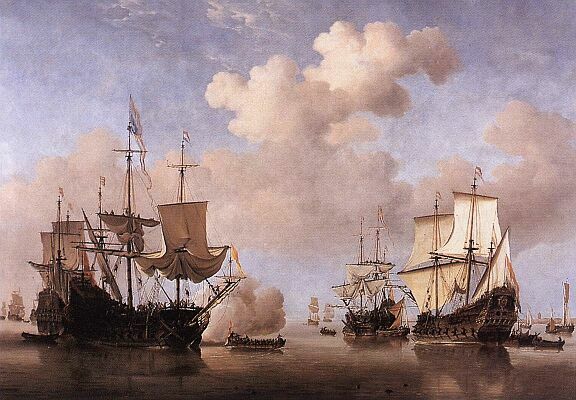 When we think of the past several centuries we probably tend to pull up romantic images of adventure and exploration, for it was the last great age of empires and colonial expansion. Yet for most of known history the daily life of the average man has been lived in ignorance of the larger human sphere spread out over the vast terrestrial one. Most would live and die, all within a day’s walk of where they were born. Travel as we think of it is really a product of the industrial age — following that far more romantically adventurous and hazardous period when man first circumnavigated the globe by sail, and trade between the far points of East and West was made possible by the long reach of the last colonial empires. With the power of steam in shipping and locomotion the world began to shrink as travel across land and sea became ever more common — and even a right of passage for the upper classes (the Grand Tour). With this new mobility there came into being mechanical watches that could track local time in more than one place, and even across the entire world. 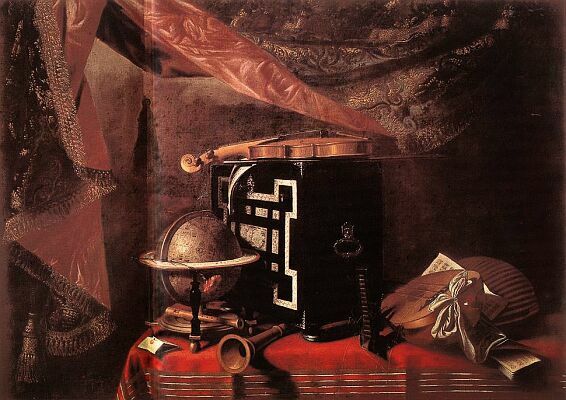 It was the advent and acceptance of high-accuracy portable mechanical timekeepers following John Harrison’s (1693-1776) solution to the longitude problem in the mid 18th century, and thus the increasing importance of mechanical timekeeping to nautical navigation in the form of marine chronometers, that led to the development of the first dual time pocket watches. Known as “Captain’s watches,” they date back to the turn of the 19th century and featured two small time dials, one for the home port and one for local time. So just as shipping was being made safer and more precise, the rapidly expanding networks of railroads were becoming ever more perilous. The tyranny of locally determined time, which might vary by minutes between neighboring towns, played havoc with national and international rail systems that relied on precise scheduling to avoid collisions within the growing traffic of trains needed to feed the industrial revolution. It was this hazard which brought the inevitable clash between the local control of time and practical international necessity. Thus it was that the vision of international standard time came first to a railroad engineer: Sanford Fleming, chief Engineer for Canadian Pacific Railroad, who had headed the construction of the Intercolonnial Railway, first published his ideas for a system of standard time in 1876. His concept described 24 standard “time zones,”15 of longitude wide, wherein the time would be the same throughout the zone, and each zone one hour apart. He gave each of the zones a letter designation “A” through “Z,” omitting the letters “J” and “V.” In 1880 he had a unique pocket watch constructed by a London manufacturer that reflected this scheme. 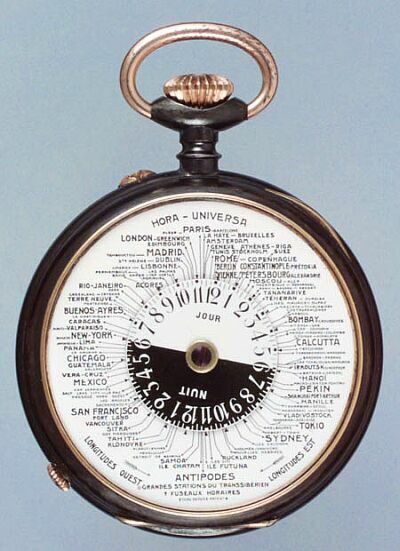 His “Cosmic Time” pocket watch was probably the world’s first true “world timer,” showing simultaneously on a single dial the time for his 24 hypothetical zones. His campaign to standardize time met with some resistance and opposition, but a form of it was finally accepted by the International Meridian Conference in 1884, and officially adopted on January 1, 1885 — the real time zone meridians are defined with some political compromises. The years following the official adoption of standard time saw the advent of multiple time zone watches much like those old Captain’s watches, but often with six or more subsidiary time dials, each labeled for a major city and its representative time zone. Less common were the “world time” watches which followed the concept of Fleming’s “Cosmic Time” watch, like this Swiss world timer from 1890 (shown above right). It displays all 24 time zones on a single dial, with an small central indicator rotating counter-clockwise once every 24-hours within a fixed time zone ring. This allows one to roughly read the hours and quarters of any of the new 24 time zones, and the local times for cities and regions not yet adopting the new system of standard time — which appears to be most of them. In order to accurately read local time this watch was made with two faces, with a separate, independently adjustable dial for local time. Due to this complexity world time watches would remain very rare until the next step in development was taken by Genevese watchmaker Louis Cottier (1894-1966), whose independent atelier specialized in the development and production of complications for the great Genevan brands. It was around 1935 that he introduced his much more practical and elegant implementation of heures universelles. His design featured a local time subdial with hour and minute hands at center, linked to a rotating 24 hour ring, and bordered by either a independently rotatable time zone bezel or outer dial ring (both manually adjusted). By aligning the local time zone with the 12 o’clock point of the local time subdial, the watch would then display the correct time in both hours and minutes, night and day, for every time zone in the world simultaneously, all while allowing easy accurate reading of local time, and all on a single dial. Cottier’s world time complication was implemented on both pocket watches and wristwatches, and while Patek Philippe is undoubtedly its most famous user, it was also used by other famous names like Vacheron Constantin and Rolex. As a final artistic and symbolic touch, world timers following Cottier’s design often depict a map or globe on the central dial. In sum, “standard time” inspired a new way of thinking about the world: as a single great continuity, rather than the insular self-importance that preceded it. On a world time watch no time zone is more important than any other, and this type of watch more than any other gives its wearer the full sense of the world turning, and of one’s place within the greater terrestrial harmony. Louis Cottier’s basic concept for heures universelles remains the standard used for mechanical world timers today, and they are still an often overlooked class of elegant gentleman’s wristwatches. 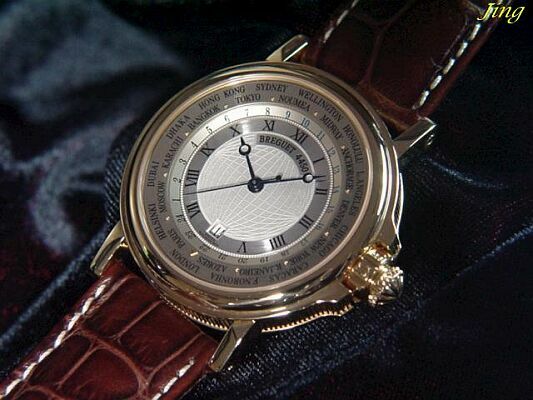 Breguet’s Hora Mundi is probably the clearest example of the timelessness of Cottier’s design, modified slightly by Breguet for use in the Marine case, with the knob for manual adjustment of the outer ring placed co-axial with the crown. The central dial features the more understated decoration used by many historical examples, engraved lightly with a globe. Its one substantive break from tradition is the calendar guichet at 6 o’clock, and like all of today’s mechanical world timers for the wrist, Breguet’s Hora Mundi has automatic winding. The one flaw of all Cottier and earlier types of mechanical world timers is their inability to compensate for “daylight savings time,” thus leading to seasonal one hour errors depending upon the region. In the US, Daylight Savings as an institution heralds back to the Standard Time Act of 1918, wherein the US finally established standard time, as well as Daylight Savings Time. Daylight Savings was repealed a year later, then reinstituted during World War II. The Uniform Time Act of 1966 allows for individual states to exempt themselves from the observance of Daylight Savings, which some have done. With similar inconsistency of usage by other nations and regions, Daylight Savings Time remains the major bane of world timers. The minor banes are those regions which still have not adopted standard time, and the time zone at the international date line which is actually split into two sub zones 7.5 of longitude wide. The actual demarcation of time zones remains at the whim of nations, to be modified and shifted at need. The most coveted and well known world timers ever made were those produced through the long partnership of Louis Cottier with the house of Patek Philippe. Starting around 1937, Patek Philippe produced exquisite world timers in various series, including pocket watches, until about 1965 — the most famous series of which are the cloisonn dial ref. 2523s. 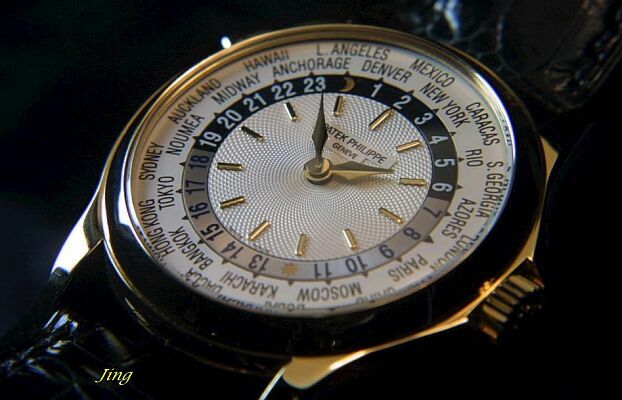 While it is acknowledged that Patek Philippe bids on its own watches to maintain high auction prices, one can only assume that the astonishing results of its vintage world timers in recent years is indicative of something special, and in itself must have led to the new world time offering from this great house. While the tie between Cottier and Patek Philippe ended with his passing in 1966, their new world timer holds to those prior works, and builds upon them. Though still employing the same basic design, the advantage of the new ref. 5110 over the earlier Cottier type watches is that it has been optimized for use as a modern travel watch: allowing change of time zones at the push of a button, not only rotating the cities ring but advancing the local time and 24-hour ring simultaneously. In the traditional system, one would have to manually adjust local time (the 24-hour ring would advance counterclockwise in step), and then manually reset the time zone ring or bezel to the proper locale. Thus it is not only a work of the art, but as the manufacture itself proclaims, a watch to be used. 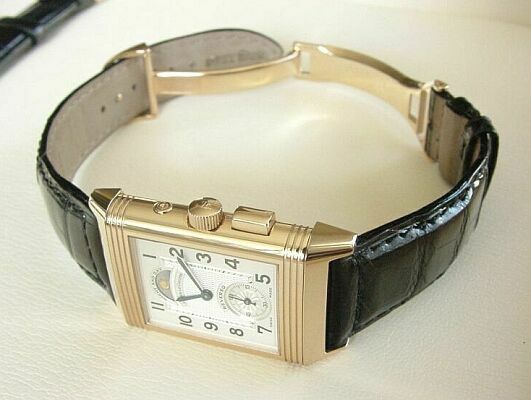 Breaking away from the classic Cottier designs which dominated 20th century world timers, the Geographiques of Jaeger-LeCoutlre created their own characteristic style, and something fundamentally new in the Reverso Geographique. 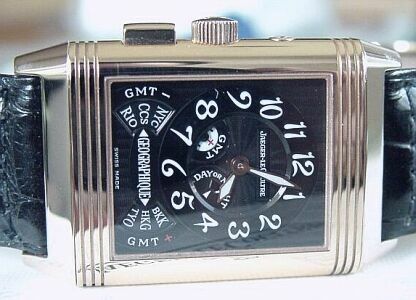 While remaining within the Reverso lingua of “Art Deco” style and design, the Geographique is one of the few which uses the novelty of the reversing case to add function through complication. The silvered guilloche dial at front only hints at this with its symmetry of circular subsidiary seconds and cyclopean day/night guichet. It is the black lacquered dial at rear with its stylized “Chinese” numerals which holds the secrets of this unique rectangular world timer. Housed within the oversized Grande Taille case developed for complicated Reversos, its calibre 858 is a mere 0.86 mm thicker than its base calibre 822. In less than a millimeter Jaeger-LeCoultre has added a push-button operated world time function, with 3/4-dial display for the selected time zone, GMT +/- indicators, and two 12-zone discs which pack the entire world of standard time into the smallest possible space. The only room for complaint is that it exists only as a limited edition of 500, and it is this fact that its best and most innovative complications are just limited editions which stands between Jaeger-LeCoultre and true first tier status. The design itself? I only wish that Jaeger-LeCoultre would discover the elegance of co-axial buttons for its single-button complicated Reversos. Reaching back to 19th century world time design, combined with their signature mix of audacity and classicism, Audemars Piguet has once again broken new ground with its new Jules Audemars Metropolis — possibly the first ever world time perpetual calendar wristwatch. 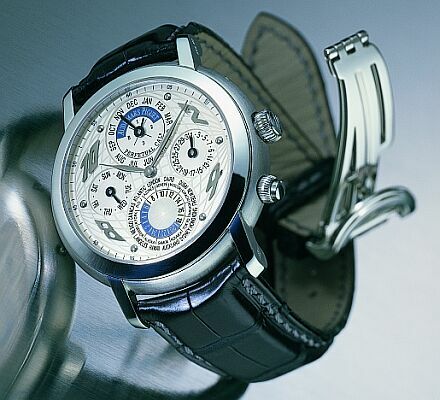 In order to combine the disparate displays of the related time elements – astronomic, international standard, and local mean – Audemars Piguet has opted to use a world time display akin to that on the antique pocket watch previously discussed: the entire 24 hour indicator rotates counterclockwise within a fixed time zone ring, with London (GMT) marked at the 12 o’clock position. The genius in using this pre-Cottier method is that it allows this button-operated world time display to be reduced to a subdial no larger than that used for the calendar month and year subdial. Of course it loses the simple and elegant unity of a dedicated Cottier world timer, but this captures the entire world turning in miniature within the larger astronomic context, without sacrificing the legible reading of local time. It is a new definition of the genre for the first year of the third millennium. We find that our world is shrinking at an ever faster rate: From the industrial age with locomotives and steam powered ships, shrunk further in the jet age, the space age, and now even more so in the computer age with instant communication, rapid transit, and an increasingly integrated international community, all which has forced us all to become citizens of the world rather than of any single state. Yet despite this we are often so consumed with the minutiae of our daily existence that we often lose grasp of the larger picture, and we forget that we are only a small part of a larger whole. The world timer, first as a gentleman’s watch reflecting the international sensibility of the industrial age, continues to find a place on the professional’s wrist for its elegant practicality in the computer age, as it evokes once more for us the grand harmony of the world.